Revelstoke, British Columbia. The City of Revelstoke, BC. 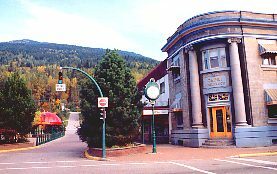 A sense of history plus modern conveniences and activities describes The City of Revelstoke, nestled in the shadows of the imposing mountains of the Selkirk Range between Mt. Revelstoke National Park and Glacier National Park. Revelstoke began in the 1880s as a transportation and supply center for BC's mining industry. This was soon bolstered by the construction of the trans-continental railway and the subsequent decision of the Canadian Pacific railway to establish its main operations offices and maintenance facilities. The railway played a large part in the area's development and its story can be viewed at the Railway Museum. Today this vibrant community is developing into one of British Columbia's all season playgrounds. Outdoor adventures take advantage of the areas breathtaking scenery with back country hiking, ski touring, heli-skiing, snowmobiling, downhill skiing, snowboarding, camping, biking, river rafting, boating, rowing, canoeing and kayaking. The City of Revelstoke also has an 18 hole golf course, bowling lanes, fitness centres, tennis courts, skating arena, curling rink, and outdoor swimming pool. The area boasts two national parks, three BC provincial parks, several municipal parks, hot spring developments, and an abundance of camping opportunities. From Revelstoke you can take short trips north or south to experience even more adventures. 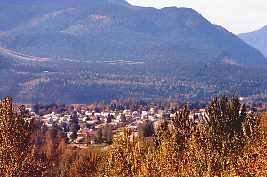 To the north on Highway 23 you can visit Downie Provincial Park, Martha Creek Provincial Park and the famous Revelstoke Dam; a journey south on Highway 93 will take you to Blanket Creek Provincial Park and the scenic Arrow Lakes. The nearby Purcell and Selkirk Mountains are world renowned for their soft deep powder snow (average of 60 feet yearly) that attracts those who want to experience heli-skiing or cat-skiing, downhill or cross country skiing. These and other winter activities can be experienced while enjoying the spectacular mountain scenery in the "Powder Snow Capitol of Canada". Access: Revelstoke is easily accessed from southern BC and Alberta on the the Trans Canada Highway. It is approximately 282 km (174 mi.) from Banff through spectacular Banff National Park. 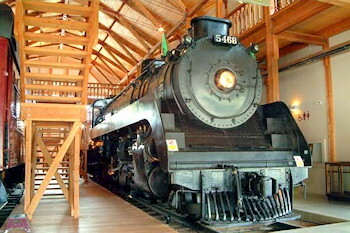 CPR 5469 at Revelstoke Railway Museum. 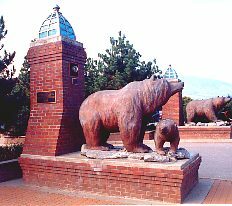 Local Attractions: Revelstoke Railway Museum; 3 Valley Gap historical site; the Enchanted Forest; glaciers; giant cedar stands; Revelstoke Dam (Canada's highest concrete dam at 175 metres), Mount Glacier and Revelstoke National Parks. Area Weather: Weather in the region develops as a result of warm moisture-laden air from the Pacific being deflected upwards by the Columbia Mountains. The cooling of this air mass brings significant precipitation to the Columbia's, particularly during the winter months. The mean annual precipitation is 1278mm (50in) at Revelstoke, 1995mm (79in) in the subalpine zone. Variations in daily weather reflect the variety of topography throughout the Columbia Mountains. December and January are typically the snowiest months while July and August are the warmest months.